I absolutely adore the amazing work that talented fans have sent to me over the years, so I decided to put it all together on here for everyone to see! From fan art to spin off novels, here's the place you'll find all of the amazing work that Dreamers across the globe get up to! 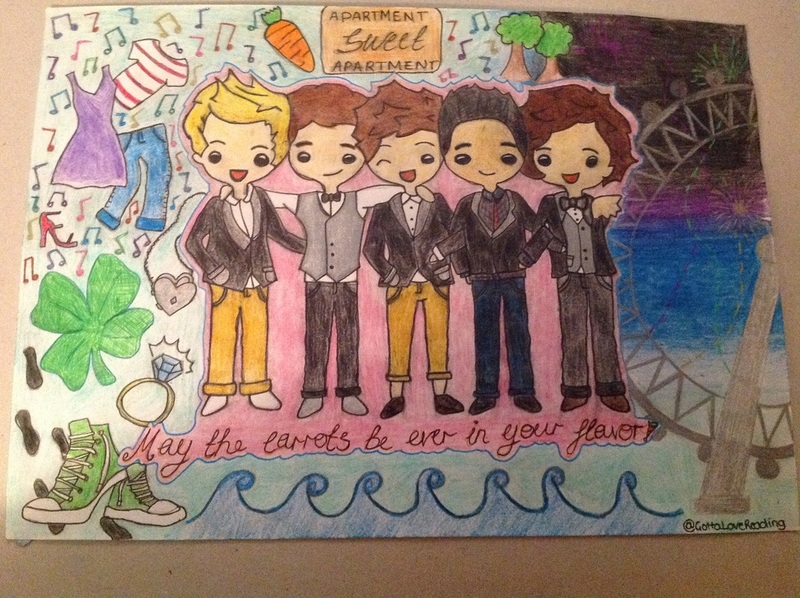 A drawing of a collection of things from The Husband Games: 1D Edition. Created by @GottaLoveReading on wattpad. 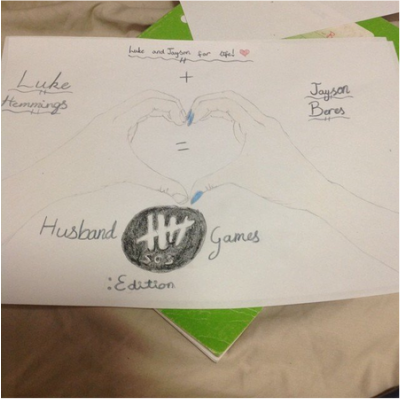 Fanart of Jayson and Luke, from The Husband Games: 5SOS Edition. Painted by @american_horan_story on wattpad. 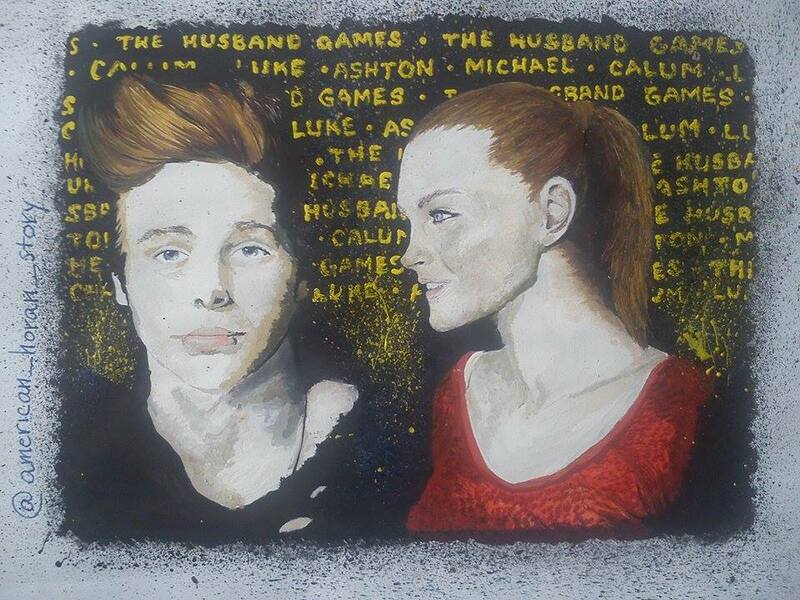 A drawing for THG: 5SOS Edition. By @TomlinsonMiss on wattpad. 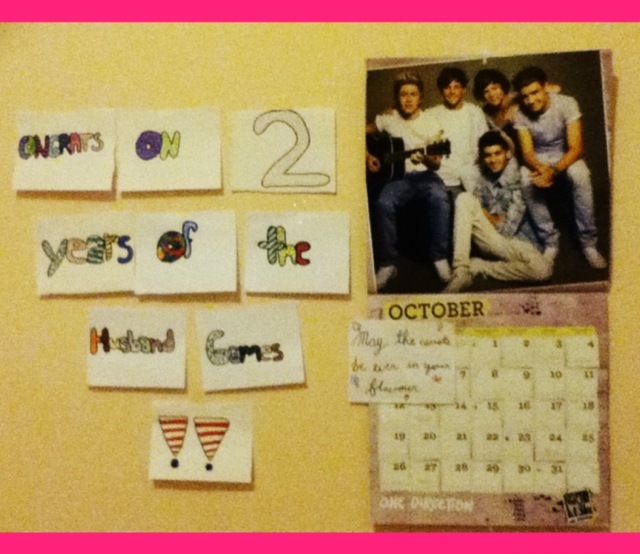 A wall collage for THG: 1D Edition. Created by @lorypanda on wattpad. An adorable cartoon of Niall Horan. Drawn by Laura R.
Sketch of Jayson Beres from THG: 5SOS Edition. Drawn by @Luke_bryangal126 on wattpad. A collection of amazing 'one shot' novels fans of Five Spies: One Direction have created!